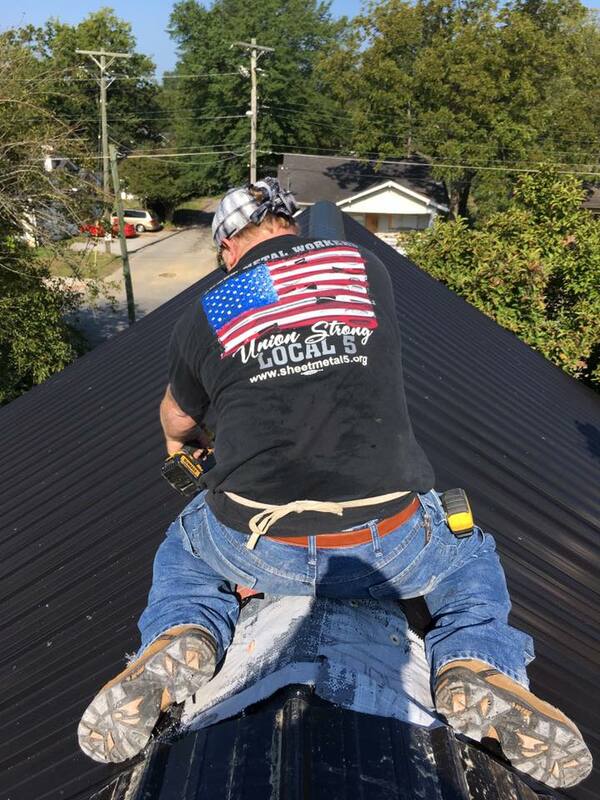 On September 21st Sheet Metal Workers Local #5 we're notified that a Chattanooga Veteran and his Family had been left with an exposed metal roof by a shoddy Contractor named Massaw Roofing. Army Veteran Kerry Hinton had paid this Contractor to demo the existing asphalt shingled roof and replace it with sheet metal. During this process the Owner/Operator of Massaw Roofing was arrested and reportedly put in Jail. Leaving Kerry along with his Wife and Kids with the mess. Volunteers from Sheet Metal Workers #5 SMART ARMY along with help from Union Contractor Chase Plumbing and Mechanical Inc. went to work donating time and materials to help this Family in need. Finishing this project on September 26th The Hinton Family Thanked our Union Graciously. Special Thanks to Brothers Jacob Wheeler, George Painter, Jordan Burgin, Jason Andrews, John Kirk and Jeff Burgin. SMART Local 2 and Performance Contracting, Inc. demonstrated their skill with work on the Church of the Resurrection in Leawood, Kansas.